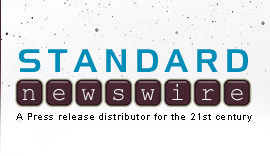 PHILADELPHIA, Jan. 9, 2012 /Standard Newswire/ -- The Tesla Science Foundation has recognized filmmaker, James Jaeger (FIAT EMPIRE featuring Ron Paul) for his efforts in penning the "best movie script offering a new perspective on Tesla's life." The Foundation, headquartered in Philadelphia, is the largest Tesla society in the US. "Over the years Tesla scripts have been written, but Jaeger's screenplay, TESLA -- The Poet of Electricity, we believe will have the widest appeal to the 100 million Tesla fans worldwide because it portrays Tesla as a serious scientist and an energy visionary," said Tesla Science Foundation president, Nikola Lonchar. Last year City of Philadelphia Mayor, Michael Nutter, officially proclaimed July 9th and 10th as "Tesla Days" in order to celebrate energy independence and the City's role in promoting Nikola Tesla, a pioneer in energy-generation and countless other endeavors, including the invention of alternating current and the 60-cycle per second standard. "What many don't realize," said George Burden, a physicist and treasurer of the Foundation, "is Nikola Tesla was the true inventor of radio. In 1943 the U.S. Supreme Court reversed their decision on the underlying patent 645,578 which was erroneously granted to Marconi. This is one of the reasons I want to make this film, to bring the real story of Tesla to the public and update some history books," said Jaeger. The screenplay, which opens in 1884 when Tesla arrived in New York City to work for Thomas Edison, took Jaeger fifteen years to research and draft. After numerous conferences with the Tesla Science Foundation, the screenplay was polished to a degree even Tesla would approve. Tesla, the quirky genius who appeared on magazine covers like Time, is well-know for his inventions and free energy devices, but his obsessions with hygiene and napkins are still a mystery. "This narrative-dramatic feature film will shed light," said associate producer, Carol Snyder "not only on Tesla's romances, but his celebrity friendships with the likes of Mark Twain, Sarah Bernhardt and the self-sacrificing millionaire, John Jacob Astor, never covered in previous documentaries." Jaeger's company, Matrixx Productions, has been submitting "TESLA -- The Poet of Electricity" to Hollywood studios and so far two are willing to "set up" the project if a suitable director can be officially attached. "A number of name directors have expressed an interest in this project," said Jaeger, "but what we're really looking for is a director that's a real Tesla freak who will cast the perfect actor, for not only Tesla, but the other incredible roles in this classic period-piece."